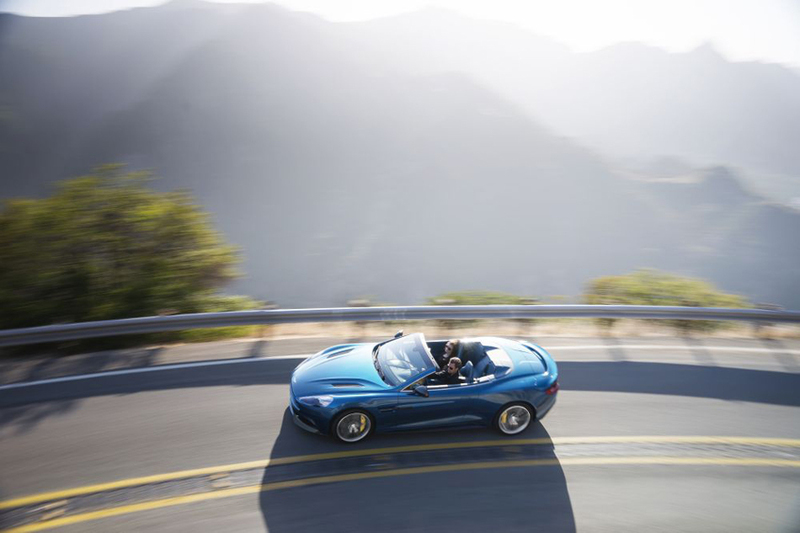 Instantly becoming one of the most beautiful cars in its class, Vanquish Volante crucially retains the coupe’s dynamic character and sporting capability. 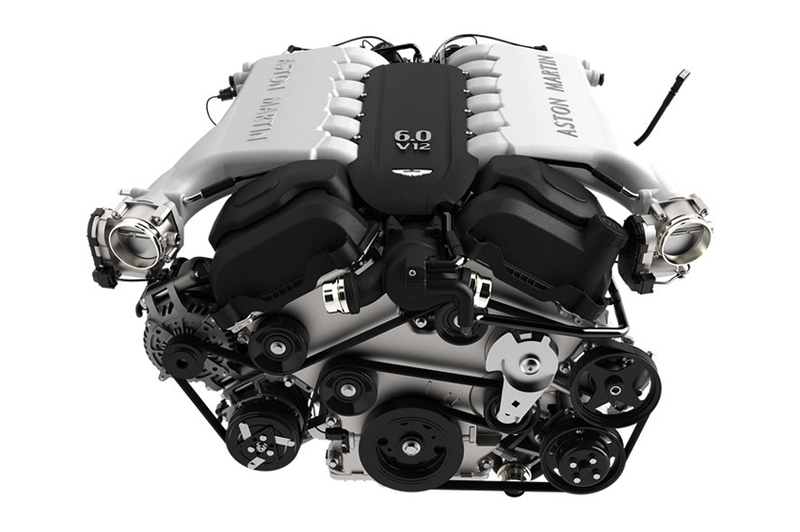 It boasts the same new AM11 6.0-litre V12 engine as the coupe and the same blistering performance figures, meaning the 0-62 mph sprint is despatched in just 4.1 seconds (estimated) while the top speed stands at 183 mph. 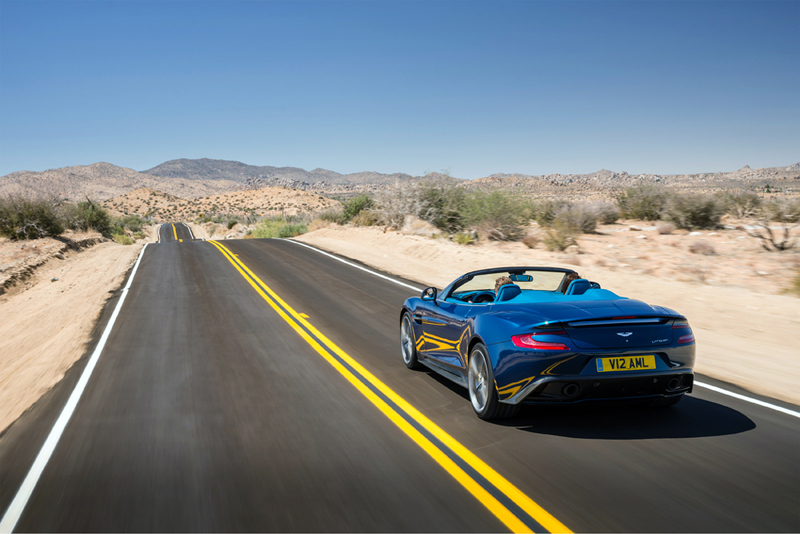 Vanquish Volante is the first fully carbon fibre-skinned Volante in the brand’s 100-year history, while also being the stiffest Volante body structure yet created by the engineering team at Aston Martin’s global HQ in Gaydon, Warwickshire, England. 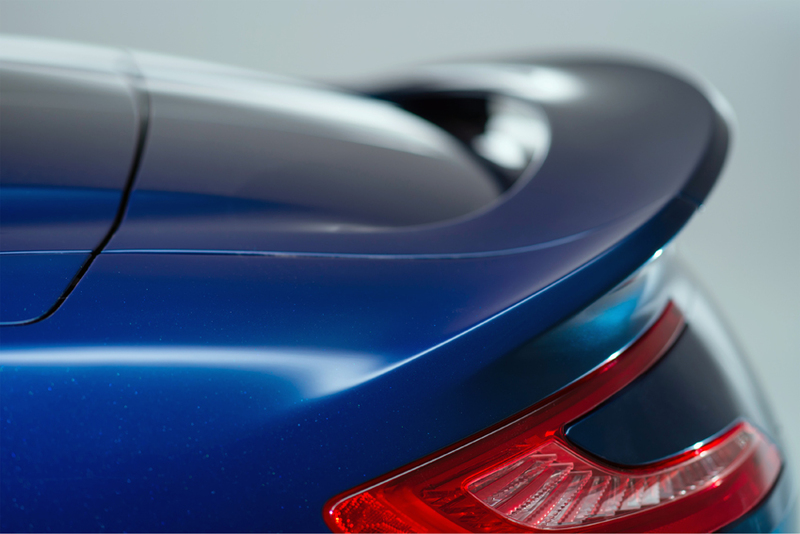 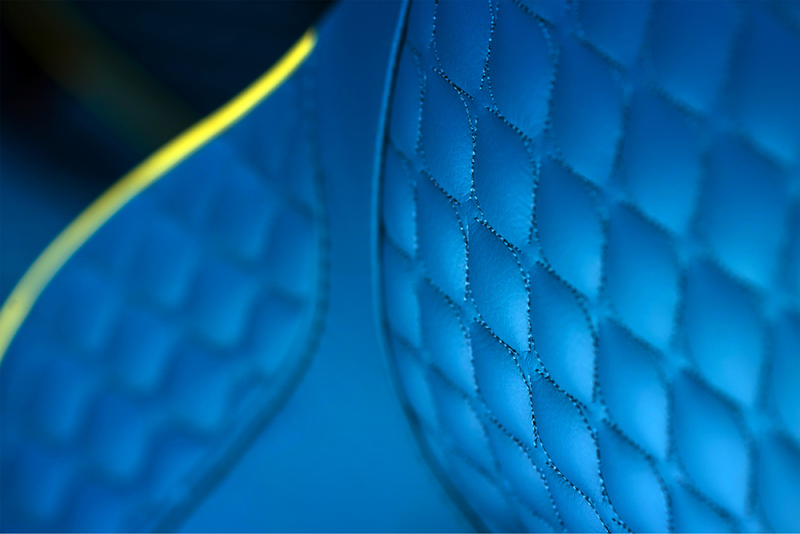 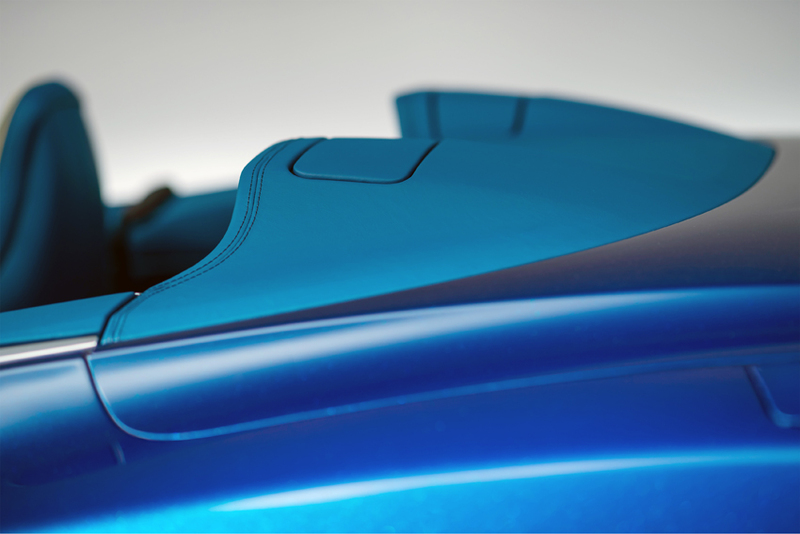 The new car’s triple-skin lightweight fabric roof takes just 14 seconds to fold. 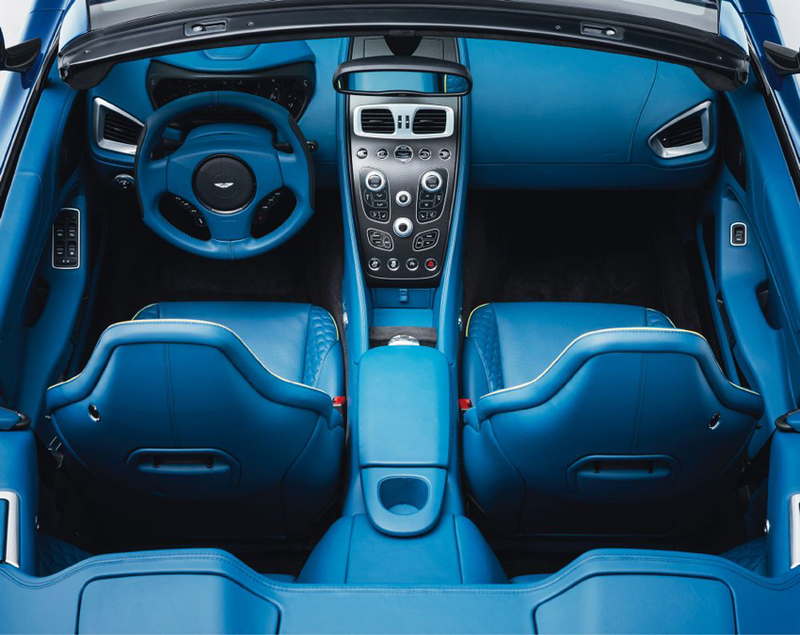 The user interface boasts a simple, ergonomically efficient layout as well as technological updates that make it the brand’s most advanced in-car system available today. 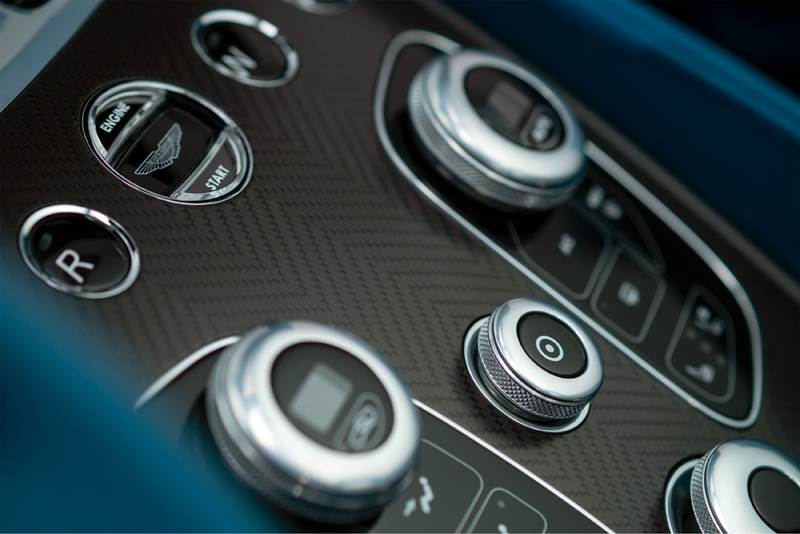 Capacitive glass buttons with illumination and haptic feedback feature in the rest of the centre stack’s switchgear. 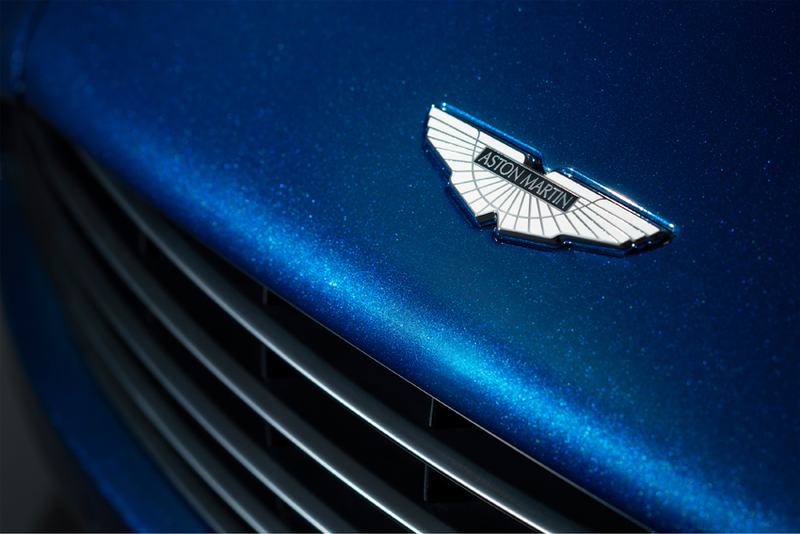 Haptic feedback is more commonly found in touch-screen mobile phones and Aston Martin became among the first significant luxury car manufacturers in the world to use the technology in a series production model when it debuted on Vanquish coupe in 2012. 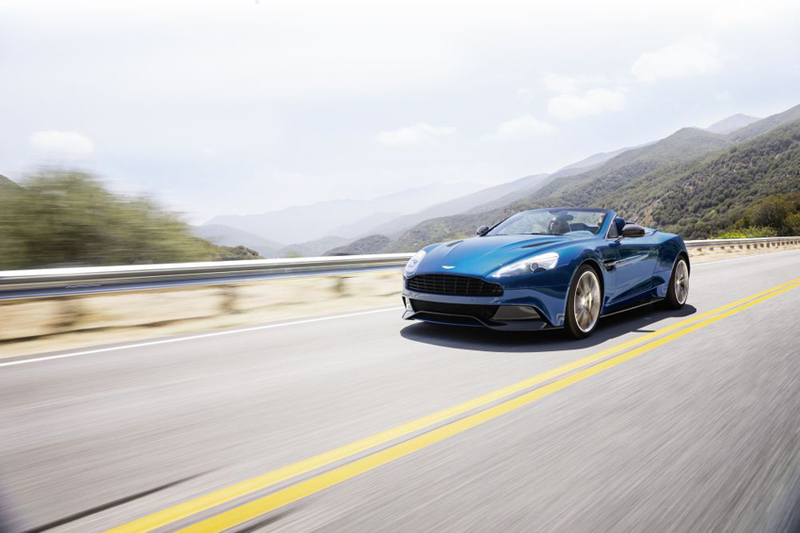 Like its coupe counterpart, the Vanquish Volante uses the latest generation of Aston Martin’s class-leading VH (Vertical Horizontal) architecture, a lightweight bonded aluminium structure that provides outstanding strength and rigidity. 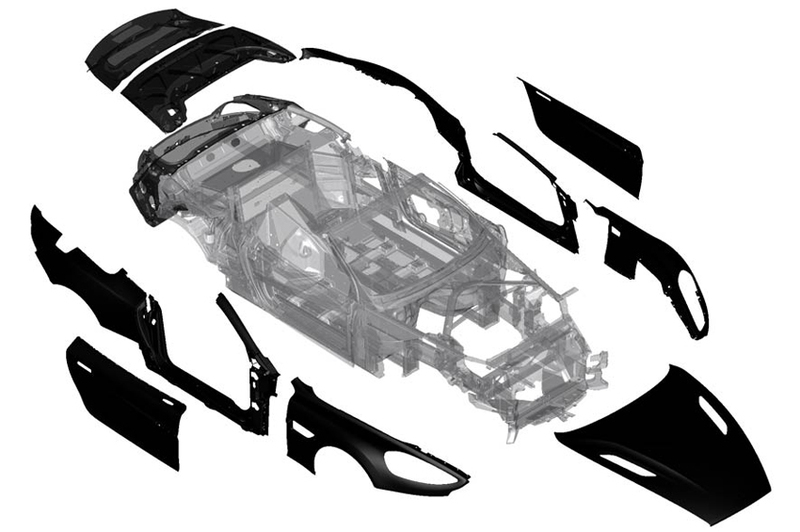 In this iteration, the Vanquish now includes the addition of significant semi-structural carbon fibre components, as well as the use of bonding derived directly from the latest aerospace technologies. 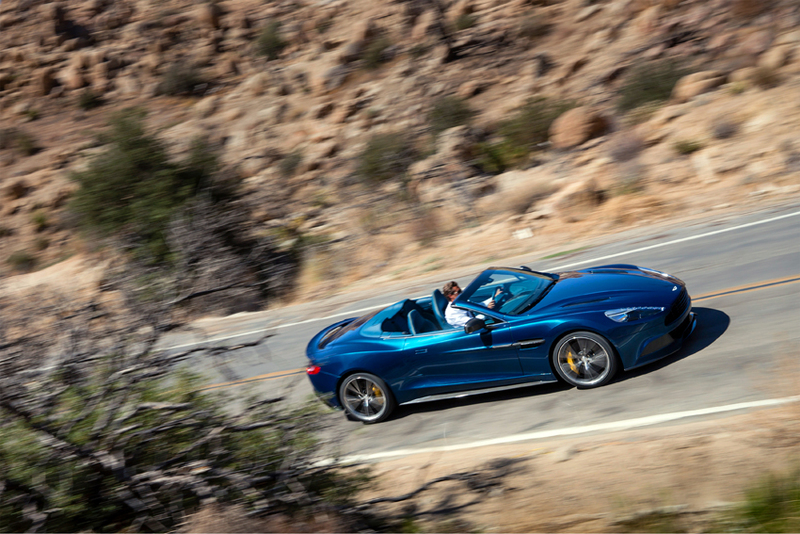 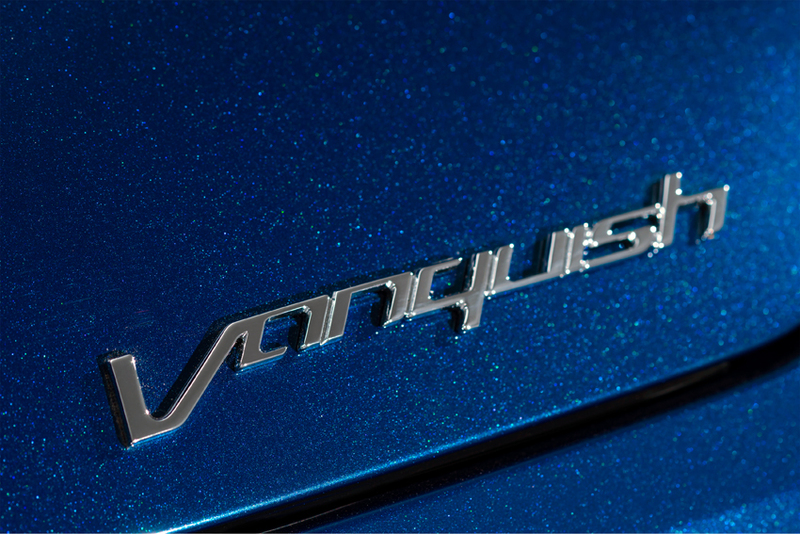 To take full advantage of its precise and rigid architecture, the Vanquish Volante employs a battery of sophisticated technologies including Dynamic Stability Control (DSC) and Positive Torque Control (PTC). 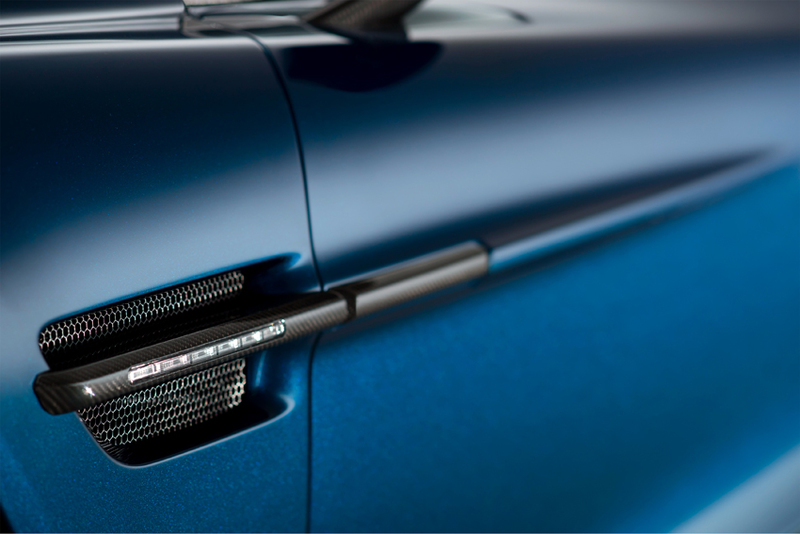 The damper settings are determined by an electronic control unit which takes sensor readings from the car’s systems including throttle position, brake position, steering wheel rotation and vehicle speed. 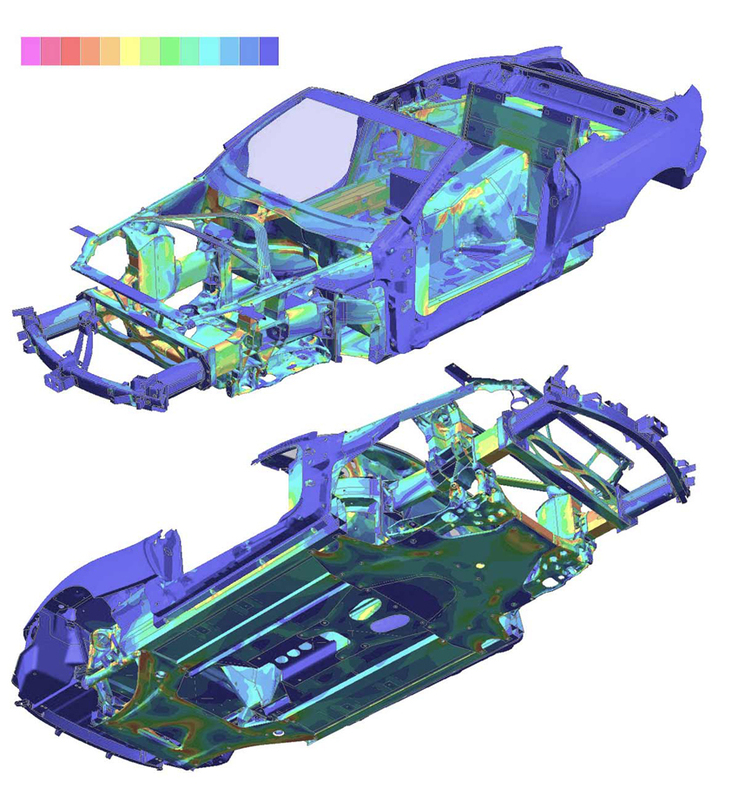 This data establishes the prevailing driving conditions and the demands the driver is making on the car. 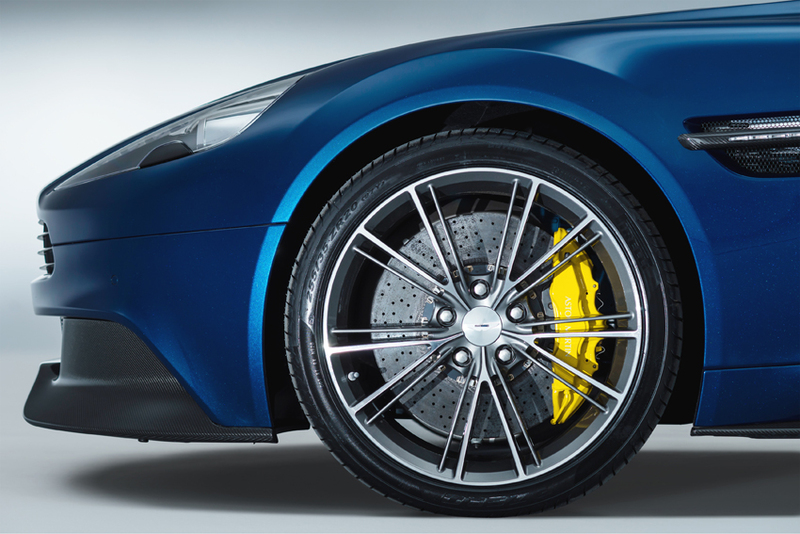 The car’s braking system features third generation Brembo Carbon Ceramic Matrix (CCM) parts to deliver shorter stopping distances with resistance to fade in even the most demanding driving conditions. 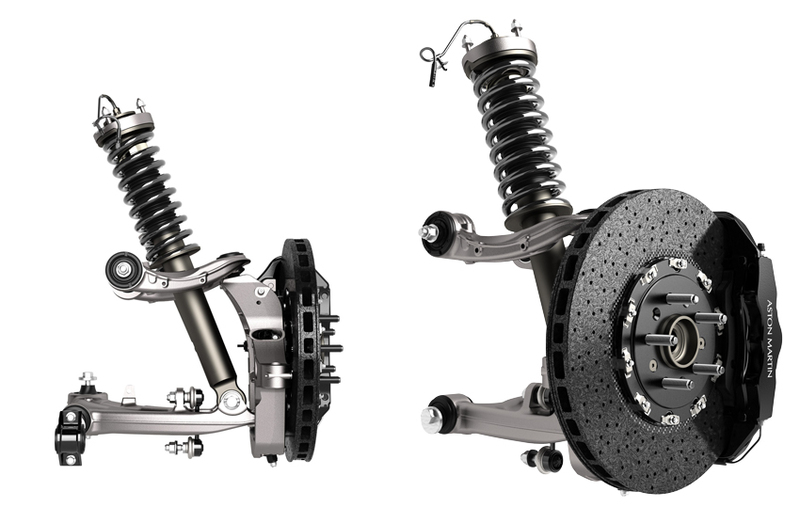 CCM brakes are also lighter than a conventional system, reducing the weight of the car overall and, in particular, the unsprung weight and rotational masses, further enhancing the performance of the suspension.